The Centre for Computing History and the LEO Computers Society are delighted to announce that we have been awarded a £101,000 development grant from the Heritage Lottery Fund (HLF)* for Swiss Rolls,Tea and the Electronic Office: A History of LEO, the First Business Computer. Made possible by National Lottery players, the project aims to bring together, preserve, archive and digitise a range of LEO Computers artefacts, documents and personal memories to share the fascinating, yet largely unknown, story of LEO with a new audience. The development grant will enable us to progress our plans to apply for a full National Lottery grant at a later date. In the late 1940s, J. Lyons & Co., the country’s largest caterer, made the prescient decision to invest in the computer developments being made at the University of Cambridge and from this collaboration came LEO (Lyons Electronic Office). 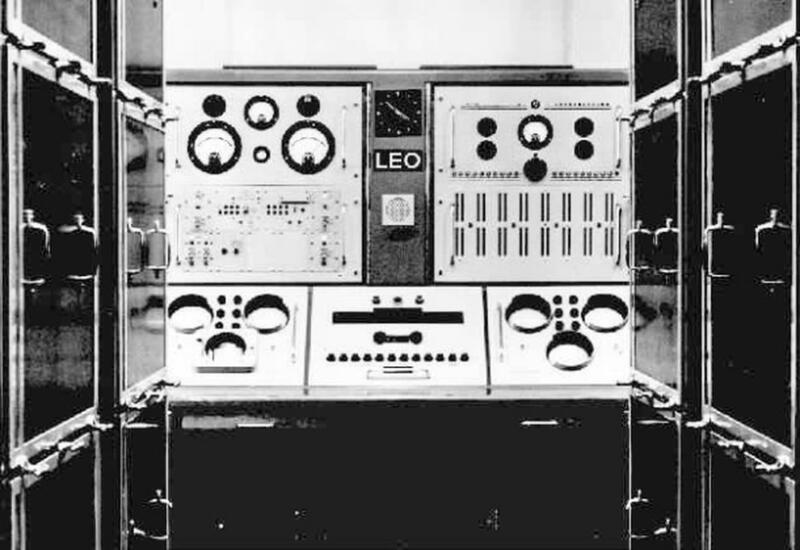 LEO went on to revolutionise how businesses were run and is now acknowledged as the world’s first business computer. The Centre for Computing History in Cambridge works to systematically preserve the rich history of computing so that future generations will be able to understand how computers have transformed the modern world. The Centre recognises the importance of the giant ‘electronic brains’ of the early days of computing and, following a successful LEO Computers exhibition in 2017, realised how much important documentation the Society has about this key moment in history. We immediately resolved to make sure the archive is protected for the long term and, in partnership with the LEO Computers Society, sought funding to raise public awareness and pride in this important, uniquely British heritage. With the project, volunteers, trained and managed by three part-time staff, will learn practical heritage skills to preserve and digitise LEO material and explore its relevance for today, allowing the heritage to be shared with the public in meaningful, exciting ways through freely available digital archives, wide-ranging learning resources, events and a film, while also exploring the recreation of the first LEO machine using cutting-edge virtual reality technology. Commenting on the award from the Heritage Lottery Fund, Ian Williamson, Chair of the Board of Trustees at the Centre for Computing History and Peter Byford, Chair of the LEO Computers Society, said: "We are delighted and sincerely grateful to the Heritage Lottery Fund and National Lottery players for their support for this important and timely project. This is a wonderful opportunity to ensure that records of such an important period in social and computing history are preserved, and the partnership looks forward to unlocking the stories within this unique archive”. * HLF Heritage Grant applications are assessed in two rounds. The partnership project has been granted round one development funding of £101,000 by the Heritage Lottery Fund, allowing The Centre for Computing history and the LEO Computers Society to progress with their plans. Detailed proposals are then considered by HLF at second round, where a final decision is made on the full funding award of £265,000. Thanks to National Lottery players, we invest money to help people across the UK explore, enjoy and protect the heritage they care about - from the archaeology under our feet to the historic parks and buildings we love, from precious memories and collections to rare wildlife. www.hlf.org.uk . Follow us on Twitter @HLFEoE and @heritagelottery , Facebook and Instagram and use #NationalLottery and #HLFsupported. The LEO Computers Society is committed to promoting and protecting LEO's history. Membership of the Society is open to all ex-employees of LEO Computers and its succeeding companies, anyone who worked with a LEO computer and anyone with a specific interest in the history of LEO Computers. Among its members are pioneers from the very early days of computing and membership is currently free of charge. Visit www.leo-computers.org.uk. Follow @leocomputers51. For further information or images, please contact: Lisa McGerty ( lisa@computinghistory.org.uk, 01223 214446).